This morning, having a few hours free after breakfast before some househunting activities, I took a stroll to buy a newspaper and decided to take a few snaps. First, here are a couple of pictures of St Patrick’s College, where I am staying. My room is on the top floor, to the left in the wing that juts forward from the main building. The chapel (with the spire) is on the other side. The building I’m in forms the most impressive side of a quadrangle, one other part of which you can see in the second photograph. 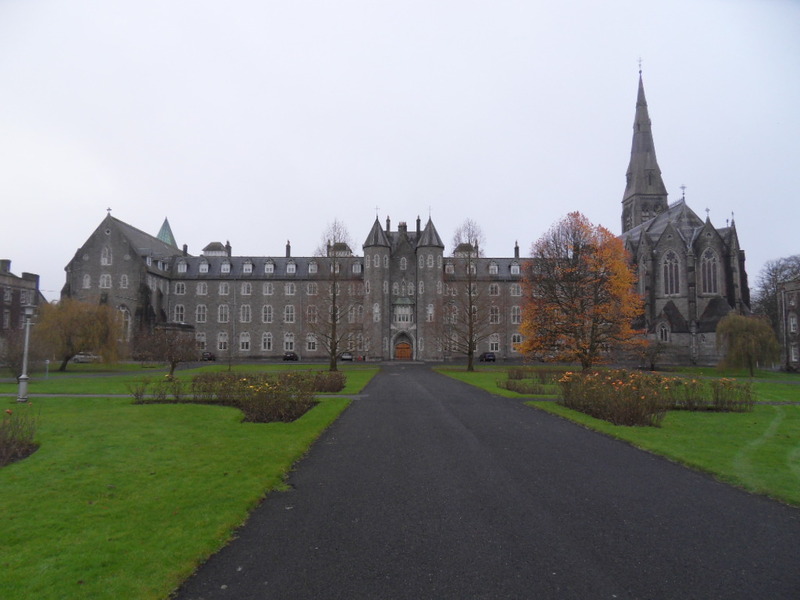 St Patrick’s College was founded in 1795, and its style could best be described as Gothic Revival. It was in fact built as a theological college with funds supplied by King George III. There was a political reason for his largesse. Roman Catholicism was brutally suppressed in Ireland during and after the Eleven Years War in the mid-17th Century, culminating in the vicious subjugation of Ireland by Oliver Cromwell. In effect, the Catholic Church in Ireland was outlawed. Starting from about 1766 some of the restrictions on Catholics began to be removed, but there were no institutions in Ireland capable of training priests so all of those wishing to join the priesthood had to study abroad, primarily in France. 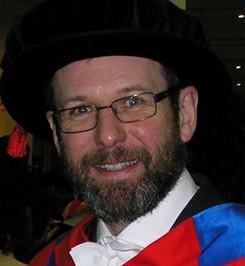 George was worried that this would lead to an influx of priests whose heads were filled with revolutionary ideas from the continent, so he decided to fund a place where they could be taught in Ireland, where at least there could be some control over their education. 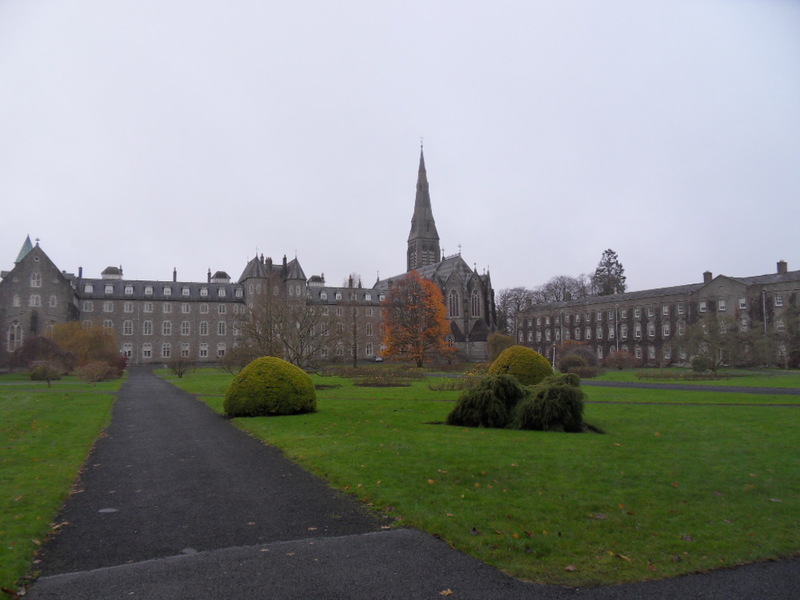 The old theological college of St Patrick (the `Pontifical University’) forms the core of what is now the South Campus of Maynooth University. Some of the old buildings here seem to take their names from the components of the old Liberal Arts degree: there is a Music House, Logic House, Rhetoric House and so on. 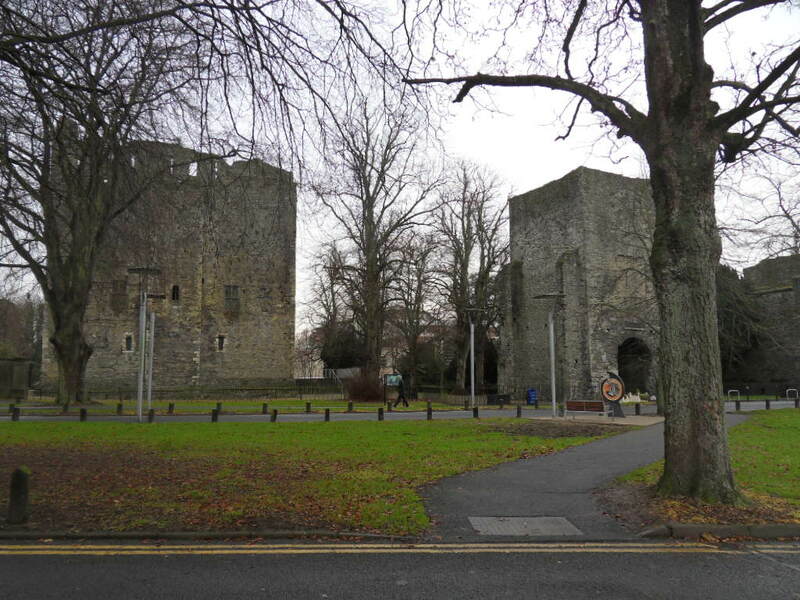 These are the remains of Maynooth Castle (or Geraldine Castle, after the Fitzgerald family), built around 1200. It was a huge and imposing fortress but now only the gatehouse and solar tower remain. It has violent history: heavily damaged in 1535 by siege cannons, its garrison surrendered only to be summarily executed. Rebuilt in the 1630s, it was destroyed completely in the 1640s during – you guessed it – the Eleven Years War. It has been a ruin ever since, but provides an intriguing entrance to the campus! I’m by no means an architectural expert but I had a hunch that the Church (above) that stands opposite the Castle on the other side of the road leading into campus might also be quite old. Indeed it is. It was built in 1248 as the chapel to Geraldine Castle. 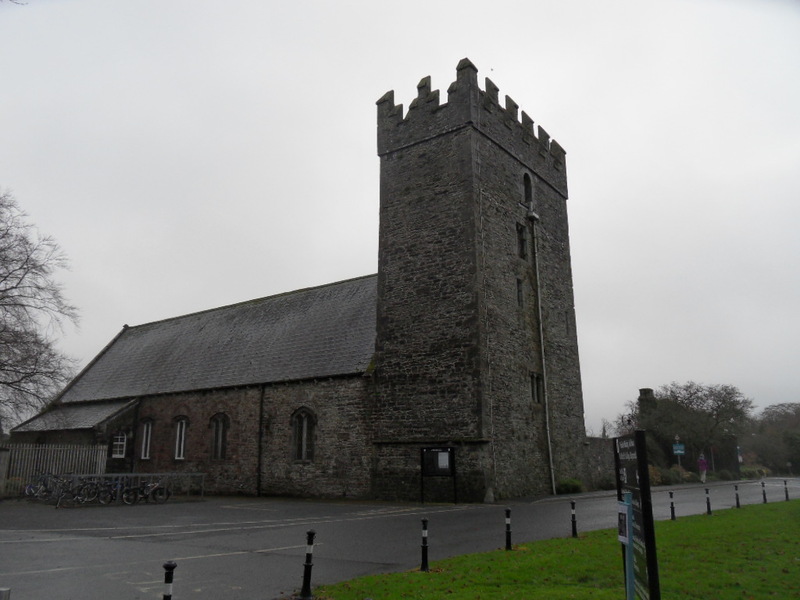 It is now an Anglican Church, still used for regular worship. The South Campus is separated from the North Campus (where the Science Building and other modern facilities are) by a main road. 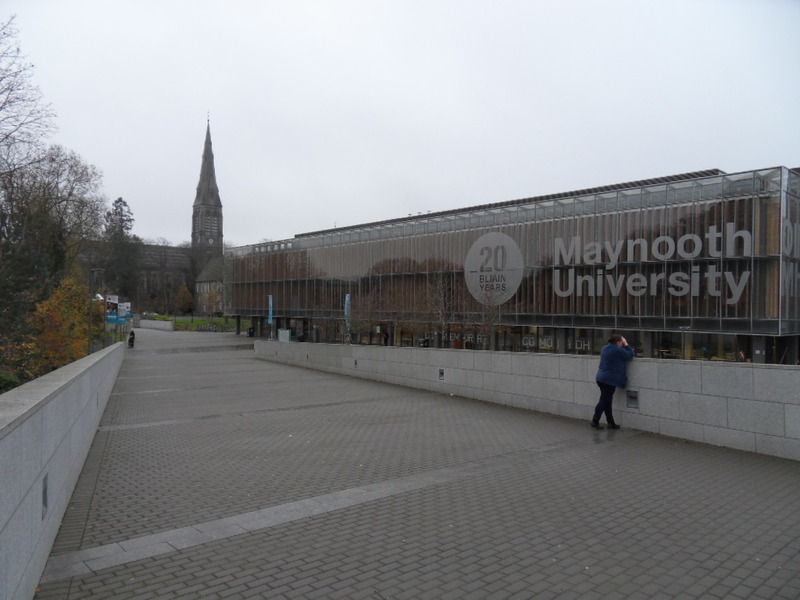 The North Campus is very new, most of the buildings are less than 20 years old. Here’s a picture showing the splendid library, with the spire of the chapel of St Patrick’s College in the background. This is one of the few newer buildings on the South Campus: the pedestrian path you see leads to the main road that splits North and South Campuses.